I came across a post on lifehacker.com this morning entitled “How to Follow Up Without Being Annoying.” It is worth the read if you find yourself waiting for someone to return your email. It got me thinking about the emails I have yet to return. It is a bad habit that some of us (me included) have, letting emails just sit in our inbox ore deleting them without responding. I am working on that. However, I wanted to offer some tips for getting responses from the point of view of one who doesn’t always respond. 1. Did I send the email to the right person? I get a lot of emails that really aren’t for me. They are making a request or asking a question that I really can’t help with. Most of the time, I try to be helpful and forward it along to the right person or respond and direct them to the right person. However, I will admit this doesn’t always happen. This especially doesn’t always happen if it is an internal email from someone who really should know who to ask or should be able to figure it out. If you really don’t know, perhaps preface the email asking if you are writing to the right person. Those emails are easier and faster to respond to. 2. Did I ask only one person? If you send a question or request and it is obvious that you are sending it to more than one person, many people will assume that someone else is going to answer. 3. Is it clear what I want? Sometimes I have to forward an email to someone else just to decipher what is being requested. More often, I do nothing with it because I am not sure what I am supposed to do. Be very clear in what you want, i.e. “please respond and say yes or no.” And put that part at the beginning. If I don’t think I need to do something, I will admit, I don’t always get to the end. 4. Did I provide all the information? Sometimes someone wants something from me and doesn’t give me all the information. If you want someone to write a letter of recommendation, how about you let them know who to write it to and where to send it? Even better, be a little presumptuous – if there are some things about you that you would like them to remember as they write it, remind them. Someone recently emailed me to remind me to fill out a form for them that they left on my desk – blank. All the information that needs to be on there, they have and I have to look for. That’s going to take a while. 5. Am I making my urgency their urgency? Most people assume that people will respond within a couple of hours or at least within a day. That is a big assumption. I try to prioritize my work based on the vision of the church and my goals within that. 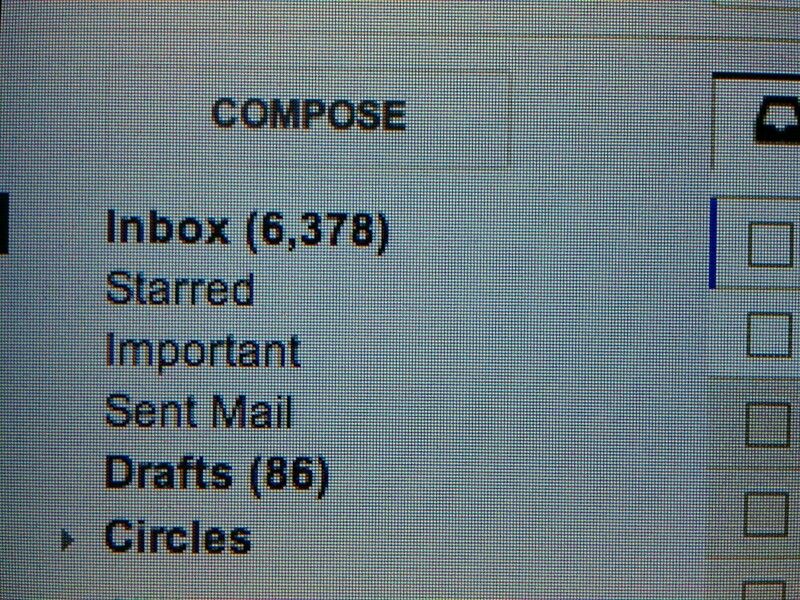 Sometimes that means that I am not responding to email or even looking at it all day. If there is a deadline, let the person know. If it is short deadline, help them understand why it should be urgent for them or just ask really nice. Some of that may sound a little harsh but it is not meant that way. It is just how it tends to work with people who spend more time than they would like answering emails. Imagine, in the days before email, if someone received 100 pieces of personal mail every day. It probably wouldn’t all get answered. So, get yourself to the top of the stack. Remember that you are asking for a slice of someone’s limited time and you might just hear back. Next Post: Could the Church learn something from Rising Star?